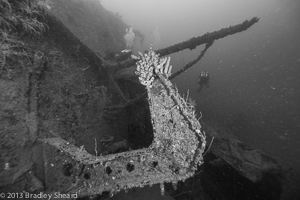 In October 2013 I had the pleasure of traveling to the Caribbean Island of Grenada to dive a few of the local shipwrecks, notably the sunken passenger liner Bianca C. My good friend Mike Boring did all the legwork of setting up the trip for eleven divers. We stayed at the very nice True Blue Bay Resort, and made two dives daily with Aquanauts Grenada, conveniently located right on the resort property. 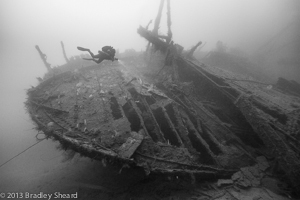 The fabulous wreck of the Bianca C is only a fifteen minute boat ride away--it's hard to beat that kind of convenience! 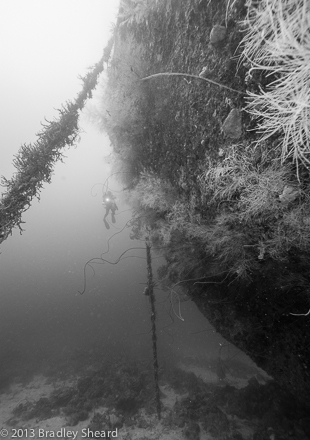 The prime diving target for the trip was the Bianca C, although we did manage to visit two other wrecks during our week stay, which proved a pleasant diversion. 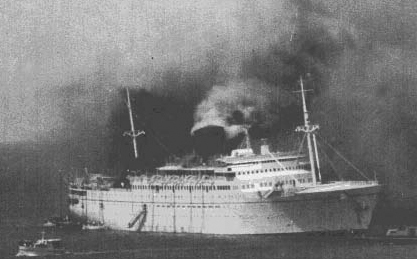 The monsterous 600-foot liner sank outside St. Georges Harbor on October 24 1961, following an explosion in the engine room that caused her to burn for two full days. 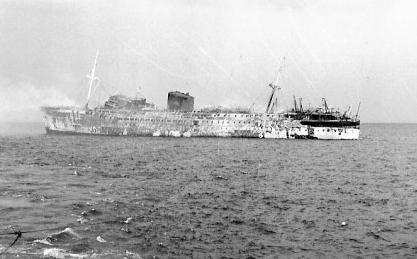 The passengers and crew were rescued by Grenadian fishermen and boat owners, while the ship was towed outside of the harbor where it sank and still rests today. The ship's owners, the Costa Steamship Line, presented a bronze statue of 'Christ of the Abyss' to the country in appreciation for the rescue effort and the people's subsequent hospitality in caring for the stranded passengers, who were put up in hotels and guest houses, as well as private homes. Today the statue overlooks the St. Georges waterfront, arms raised towards the heavens. Today the Bianca C sits upright and listing to starboard in 165 feet of water. Her magnificent bow towers above the bottom (far right), while the stern has broken free of the main hull and has a pronounced list to starboard(far left). 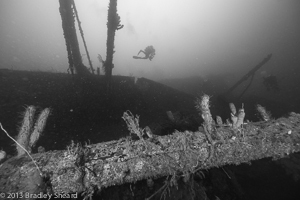 In between the two ends of the wreck are a myriad of places to explore, although the wreck is now rapidly collapsing. All of the underwater images were shot with a Canon 5DmkIII and 14mm lens, in an Aquatica housing with two Sea & Sea strobes. Images were processed in Adobe Lightroom, Adobe Photoshop and Nik Silver Efex Pro 2.